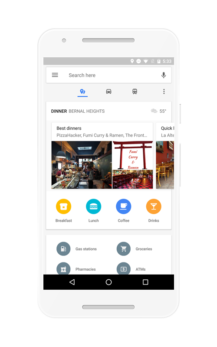 It's been more than 4 months since we first spotted a new bottom bar navigation interface in Google Maps, and now the layout is official. 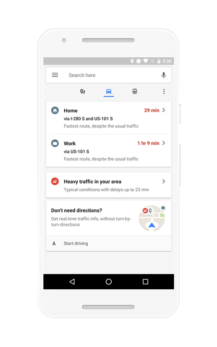 Google has announced it on its blog, saying that "when you're on the go, there's no time for apps that can't keep up," and this is exactly why this change is important. 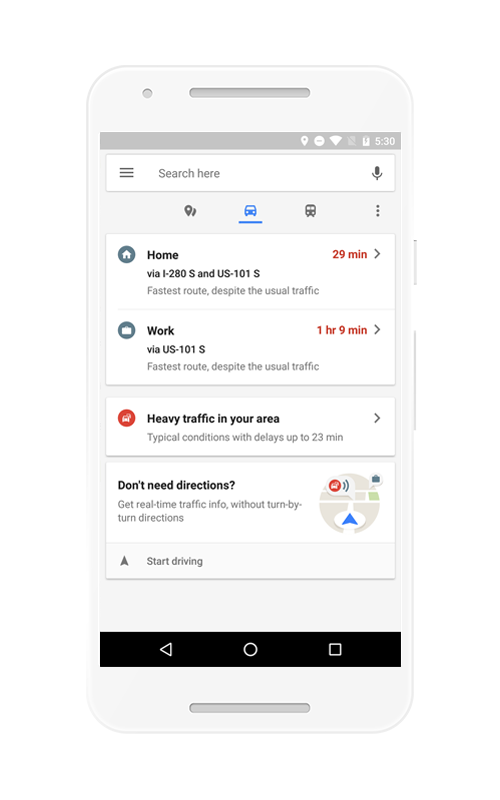 You'll no longer have to swipe the left menu to get to the Driving Mode, or tap to search to explore nearby places, or start driving to check the traffic around you. All of these will be accessible from the bottom bar that you can simply swipe up. In it, are three different tabs for places, driving, and transit. The places tab shows you useful nearby locations like ATMs, grocery stores, gas stations, and curated lists of restaurants and places where you can grab dinner or drinks or both. It's not clear now, but this may later tie into the shareable lists that Cody discovered in his teardown of Maps v9.45. The driving tab emulates a little what you get now by tapping the navigation FAB in Maps. You can see your ETA for home and work, nearby traffic conditions, and any expected delays on your way. You can also enable Driving Mode, which gives you traffic conditions without turn-by-turn directions, in case you know where you're going. As Cody also found in his teardown, this could be later called Smart Drive. 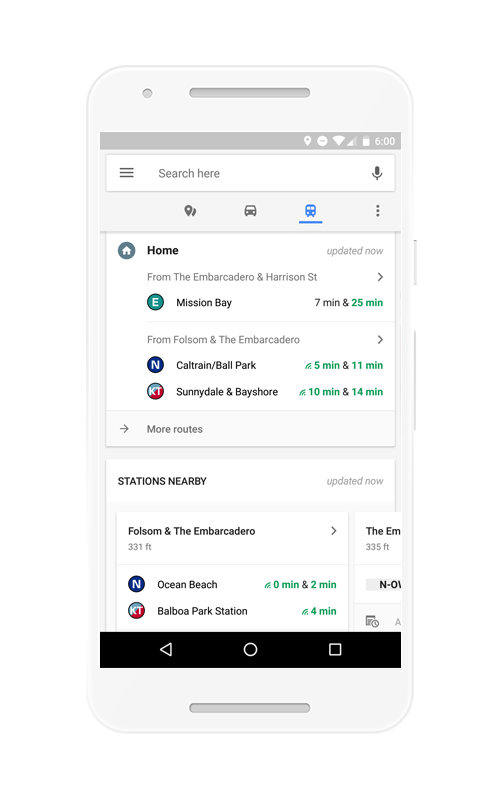 And finally the transit tab is where you can see recommendations for which buses and trains to catch to get to work or home, as well as nearby stations and real-time transit schedules. It's the kind of thing I wish I had when I lived in Paris, because it seemed like I was always sprinting for the wrong train. Google says these changes are starting to roll out today, but we're not sure whether there's a new version of Maps required or if it's just a server-side switch that will be flipped for everyone starting today. 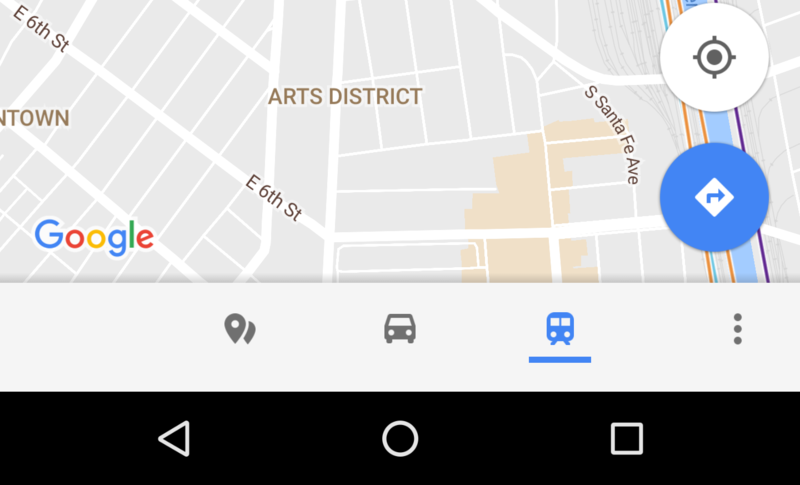 We'll update this post if we catch an APK in the wild that activates the layout.